Baltimore County is making local shopping easier this holiday season with two hours of free meter parking. Parking will be free at 1,735 meters throughout Baltimore County Thanksgiving weekend, November 23-26. For last-minute shoppers, there also will be free meter parking December 20-25, just before Christmas. 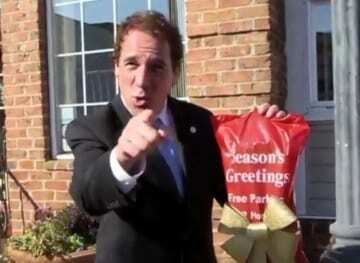 Kamenetz encouraged local shopping in a video recorded along the Frederick Road shopping district in Catonsville.